On October 12, 2010, Dr. Phillip W. Serna was interviewed on Milwaukee 89.7 WUWM’s program Lake Effect discussing the viol, his outreach program ‘Viols in Our Schools,’ and his October 16th, 2010 concerto performance with Milwaukee’s Concord Chamber Orchestra. This segment appeared again later on November 10th 2010 as part of a musical favorite’s episode. For more information about WUWM, visit http://www.wuwm.com/. For more information on the Concord Chamber Orchestra, please visit http://www.concordorchestra.org/. 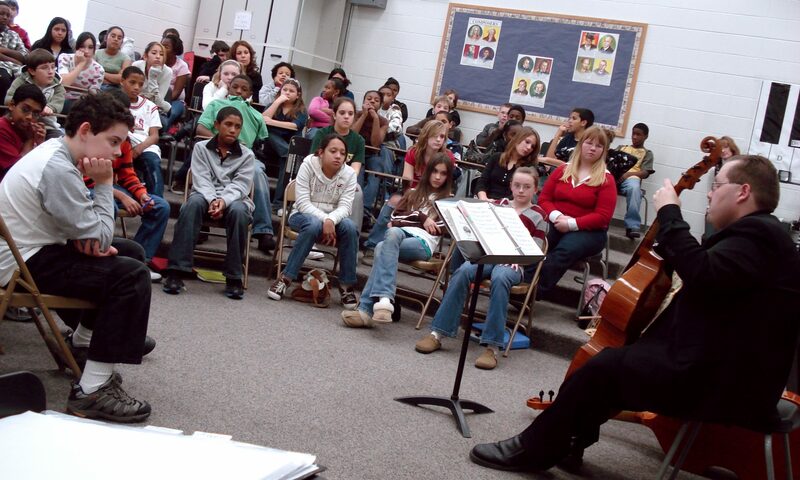 For Viols in Our Schools, please visit http://www.violsinourschools.org/.